Bloody warfare continues to envelop much of Europe, bringing with it a variety of political crises. The Arabs rise in revolt against the Turks. The Germans violate the rules of warfare. Both major political parties in the United States adopt political platforms which disappoint the hopes of women for a constitutional amendment establishing woman suffrage across the country. Intervention in Mexico creates an international incident. June 1– Thursday–North Sea, near the Jutland Peninsula of Denmark– The second and final day of the naval battle finds that Britain lost 6,096 killed, 510 wounded and 14 ships sunk. Germany lost 2,551 killed, 507 wounded and 11 ships sunk. While a German victory, German submarines had withdrawn a day too soon. Britain retains control of the seas and the blockade of German ports will continue unabated. June 2– Friday– Packard, Iowa– A passenger train derails at a bridge, killing at least 5 persons, injuring 20 others and initially leaving 15 others missing and presumed dead. June 3– Saturday– Washington, D.C.– The National Defense Act of 1916 goes into effect. The act includes an expansion of the Army to 175,000 soldiers and the National Guard to 450,000 members, the creation of an Officers’ and an Enlisted Reserve Corps, and the creation of a Reserve Officers’ Training Corps. The President receives expanded authority to federalize the National Guard, with changes to the duration and the circumstances under which he can call it up. The Army can begin the creation of an aviation branch, and the federal government can ensure the immediate availability of wartime weapons and equipment by contracting in advance for production of gunpowder and other materiel. June 3– Saturday– Danville, Illinois– The north bound Florida-Chicago Limited strikes an automobile, killing the driver and injuring the train’s engineer and fireman. June 5– Sunday– Chicago, Illinois– The National Woman’s Party opens its convention at the Blackstone Theater. Maud Younger chairs the convention. June 5– Monday– North Sea, near the Orkney Islands, Scotland– The HMS Hampshire strikes a German mine and sinks in 15 minutes, taking the lives of 643 of her crew along with British Lord Horatio Herbert Kitchener and the six members of his staff. Kitchener, age 65, a famous military leader and colonial administrator, was on his way to a meeting with Russian military leaders. June 5– Monday– Styr River east of Lutsk, Ukraine, the Russian Empire– Russian troops break through the Austrian lines, taking several thousand Austrian soldiers as prisoners and routing the Austrian troops. June 6– Tuesday– Little Rock, Arkansas– In a period of less than 36 hours, beginning yesterday, twenty-four tornadoes sweep through the state, killing at least 76people, injuring hundreds of others and doing considerable damage. June 7– Wednesday– Chicago, Illinois– The Republican National Convention opens at the Coliseum with 987 voting delegates in attendance. June 7– Wednesday– Chicago, Illinois– The National Woman’s Party Convention closes having adopted a platform with only one plank: immediate passage of a constitutional amendment to enfranchise women. June 7– Wednesday– Verdun, France– After bitter fighting the Germans take Fort Vaux. In the last week the Germans sustained 2700 casualties in this attack upon a position defended by less than 100 French soldiers. June 7– Wednesday– Lutsk, Ukraine, the Russian Empire– Hard-pressed by attacking Russian forces, the Austrians abandon the city and retreat beyond the Styr River. The Russians have taken more than 30,000 Austrian prisoners and captured large amounts of ammunition, supplies and military vehicles. June 7– Wednesday– Mecca, Arabia– Sherif Hussein Ibn Ali, Amir of Mecca and Keeper of the Holy Places of Islam, encouraged by the British, proclaims the independence of the Hejaz region of Arabia. June 8– Thursday– Chicago, Illinois– The Republican National Convention adopts a platform which favors the establishment of a world court, maintaining neutrality with regard to the war in Europe, maintaining the Monroe Doctrine, restoration of peace in Mexico, continuation of the colonial status of the Philippines, protection of naturalized American citizens if they return to their country of origin for visitation or business, raising tariff rates, strengthening the army and the navy, federal control of the transportation system, an economical federal budget, conservation of natural resources, civil service reform, workplace protection of laborers and while favoring “the extension of the suffrage to women . . . recognizes the right of each state to settle this question for itself.” This dashes the hopes of women who favor a constitutional amendment. The platform blames the Wilson administration for all American problems. June 9– Friday– Mecca, Arabia– Forces loyal to Sherif Hussein attack the Turkish garrison. June 10– Saturday– Chicago, Illinois– The Republican Nantional Convention closes, having nominated Charles Evans Hughes for president and Charles W Fairbanks for vice-president. It took three rounds of balloting to select Hughes who on the third ballot received 949.5 votes. Fairbanks easily won the vice-presidential position on the first ballot, receiving 863 votes. Hughes, age 54, native New Yorker, a lawyer, was governor of the State of New York from 1907 to 1910, and has served as an associate justice of the U S Supreme Court since October 10, 1910. He resigns his position on the court to run for president. June 11– Sunday– New York City– Jean Webster, author of Daddy-Long-Legs (1912) and eight other novels, dies in childbirth at 39 years of age. Her baby daughter survives. June 11– Sunday– Rome, Italy– Facing mounting criticism because of ever increasing casualties, Prime Minister Antonio Salandra, age 62, resigns and Paolo Boselli, age 78, takes office. June 13– Tuesday– Mecca, Arabia– The main Turkish garrison surrenders to the Arabs yet the Turks control two small forts on the city’s outskirts. June 14– Wednesday– St. Louis, Missouri– The Democratic National Convention opens at the St. Louis Coliseum with 1,092 voting delegates in attendance. June 15– Thursday– Washington, D. C.– President Wilson signs a bill incorporating the Boy Scouts of America. June 16– Friday– St. Louis, Missouri– The Democratic National Convention closes, having renominated President Wilson to run for a second term. Wilson is now age 59. His wife Ellen died in August, 1914, and in December, 1915, he married Edith Bolling Galt, 43 years of age. June 16– Friday– Jeddah, Arabia– Besieged by Arab forces and bombed by British airplanes and warships, the Turkish garrison of 1500 soldiers surrenders. June 17– Saturday– the Italian Alps, Trentino Region– The Austrian offensive begun early in the year comes to halt as Austrian divisions are sent to fight the Russians. The campaign has cost the Austrians 5,000 dead, 23,00 wounded and 2,000 captured by the Italians. The Italians have suffered 12,000 killed and wounded and 40,000 captured by the Austrians. June 18– Sunday– Arras, France– The first German ace, Max Immelmann, age 25, is shot down and killed by a British fighter plane. Immelmann had scored 15 kills. June 21– Wednesday–Carrizal, Mexico– Attempting to push past 250 Mexican soldiers, a force of 100 American cavalry troopers become involved in a fire fight with the Mexicans. Among the Americans, 12 are killed, 11 wounded and 24 taken prisoners. The Mexicans lose about 35 killed and approximately 45 wounded. June 21– Wednesday– Athens, Greece– In response to demands by Britain and France that Greece demobilize, dismiss police officials hostile to the Allies, and hold new elections, Prime Minister Skouloudis, age 77, resigns and his replacement, Alexander Zaimis, age 60, agrees to demobilization and replacement of certain police officials. Britain and France lift the naval blockade of Greek ports. June 22– Thursday– Verdun, France– In clear violation of the 1899 and 1907 Hague international agreements, the Germans unleash phosgene gas against French positions. June 22– Thursday– Karlsruhe, Germany– French airplanes bomb the city, killing 120 civilians and wounding 150 others. June 23– Friday–near Verdun-sur-Meuse, France– Victor Chapman, age 26, the son of the author John Jay Chapman and a graduate of Harvard, flying with the Lafayette Escadrille becomes the first U.S. airman to be killed in action, shot down by a German fighter. June 24– Saturday– Makunda, German East Africa [now Botswana]– British troops defeat a force of German troops and their African auxiliaries. June 25– Sunday– St Petersburg, Russia– Tsar Nicholas II orders the drafting of 250,000 Muslims from Kazakhstan, Kirghiz and other provinces of the Russian Empire in central Asia, to serve as a labor force, despite the 1886 law established by his father Tsar Alexander III exempting these people from military service. June 26– Monday– Washington, D.C.– A report prepared by Captain Lewis S Morey for General John Pershing demonstrating that the American commanding officer at Carrizal provoked the incident with the Mexican soldiers appears in newspapers here and around the country. June 26– Monday– London, England– Roger Casement, age 51, Irish nationalist, poet, human rights investigator, and diplomat in Britain’s foreign service, goes on trial for treason for his role in the Easter Uprising. He has been stripped of his knighthood and other honors. June 28– Wednesday– Mexico City, Mexico– General Venustiano Carranza orders the release of the American soldiers captured at Carrizal. June 30– Friday– New York City– President Wilson addresses the New York Press Club. The year opens with much activity which foreshadows many events of the next twenty years– tension in South Africa which will erupt in the Boer War, an independence movement in Cuba which will involve Spain in a war with the United States, struggles for Irish independence which will lead to the bitter Easter Uprising of 1916, the German Emperor wanting a large navy and a prominent role for Germany on the international stage, agitation by women for the right to vote, refugees fleeing violence in the Ottoman Empire, the rise of the political star of Teddy Roosevelt, agitation by workers, a certain increased interest in socialism, tension between Britain and the United States, and racial tensions in the United States. January 2– Thursday– Doornkop, Transvaal, South Africa– The raiders led by Dr Leander Starr Jameson are stopped and captured after a day-long battle. They will be sent to England to stand trial. January 4– Saturday– Washington, D.C.– Utah officially becomes the 45th state in the union. To insure admission Mormon leaders agreed to ban polygamy. 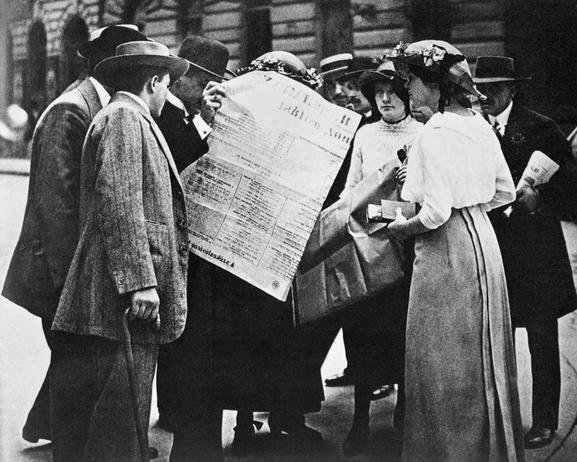 Women gain the right to vote under the new state’s constitution. January 6– Monday– Cape Town, Cape Colony, South Africa– Cecil Rhodes resigns as Prime Minister of Cape Colony, a government committee having found him guilty of having engineered the Jameson raid. January 11– Saturday– Washington, D.C.– An editorial in today’s Washington Post calls for official American recognition of the Cuban revolutionaries. January 12– Sunday– near New Orleans, Louisiana– A black man and his white wife are lynched because of their inter-racial marriage. January 13– Monday– Vernon, New York– Jane Elizabeth Hitchcock Jones, abolitionist, woman’s rights advocate and lecturer, dies two months before her 83rd birthday. January 15– Wednesday– New York City– Mathew Brady, famous Civil War photographer, dies penniless at age 73 from residual problems from by being struck by a streetcar in Washington, D.C. several months prior. January 18– Saturday– New Haven Connecticut– Clubs of Irish immigrants and Irish nationalists are said to be planning to activate a submarine-type ram for use against British warships. January 18– Saturday– Washington, D.C.– Frances Clara Cleveland, the First Lady, age 31, hosts an afternoon tea for a large number of women, both from Washington society and wives and daughters from the diplomatic corps. January 18– Saturday– St Louis, Missouri– An announcement confirms that the city will host the National Populist Convention on July 22nd. 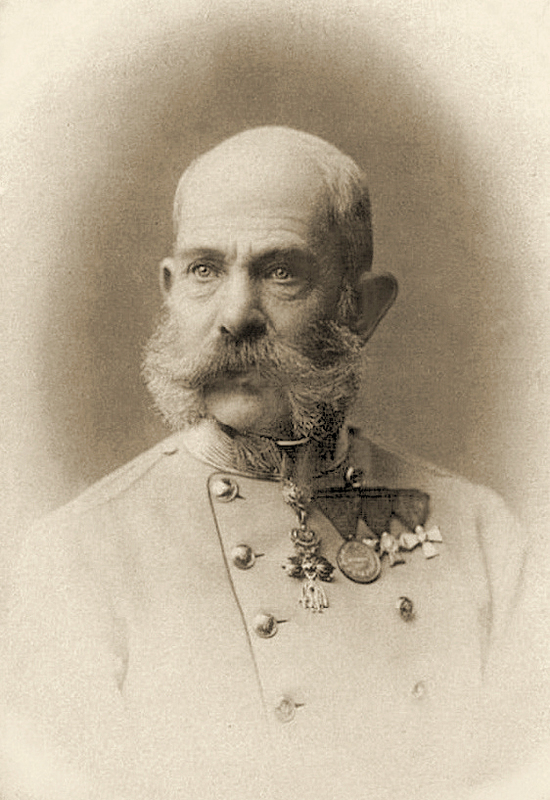 January 18– Saturday–Berlin, Germany– Emperor Wilhelm gives a speech at a dinner in the palace in which he describes the “wonderful” development of the Empire and declares that Germany must be well armed on the sea as well as on land in order to assert her duties and rights and therefore must increase the size and armament of the fleet. January 19– Sunday– Washington, D.C.– Despite the Turkish government’s position that the Red Cross will not be permitted to work in the Ottoman Empire, Clara Barton, age 74, and her staff busily prepare to do so. She announces that on Tuesday she will go to New York City to take ship for the area in order to aid the Armenians. January 20– Monday– London, England– Regarding the Venezuela boundary dispute, English newspapers warn that the people of Great Britain will not endure the United States’ invocation of the Monroe Doctrine and that the U S Congress and the Administration are pandering to Irish voters and intend make Latin America increasingly dependent upon the United States. January 21– Tuesday– Albany, New York– The 30th annual meeting of the State Workingmen’s Association calls for enforcement of the 8 hour workday law. January 21– Tuesday– Isle of Wright, Great Britain– Queen Victoria reviews the new “flying squadron” of the Royal Navy. Rumors abound that these warships will be sent to American waters. January 21– Tuesday– Rome, Italy– L’Osservatore Romano, the official Vatican newspaper, denies that the pope made an offer to President Cleveland to mediate the dispute between the United States and Great Britain. January 22– New York City– Clara Barton and some of her staff set sail on the steamer New York, headed for Southampton, England, and from there on to Constantinople, Turkey. January 24– Friday– Washington, D. C.– The Senate passes a resolution from the Committee on Foreign Relations calling on all the powers which are party to the Berlin Treaty of 1878 to take measures against Turkey to stop “the slaughter now going on” of Armenians. January 25– Saturday– New York City– The tailors represented by the Brotherhood of Tailors win a seven weeks strike, helped by the threat of the United Garment Workers to call a general strike of 30,000 clothing workers to support the tailors. January 27– Monday– Washington, D. C– The German Embassy hosts 700 people from the diplomatic corps at a reception and dinner in honor of Kaiser Wilhelm’s 37th birthday. January 28– Tuesday–Washington, D.C.– The Navy approves court-martial sentences imposed upon four white sailors for hazing several black seamen. The white men face four months confinement and dismissal from the service. January 30– Thursday– Boston, Massachusetts– The Boston Christian Endeavor Union, an inter-dominational youth group, reports that yesterday three different hotels in the city refused a room to Bishop Benjamin W Arnett, age 58, an educator and a leader of African Methodist Episcopal Church. The Revere House finally admitted him as a guest but required him to take his meals in his room. January 30– Thursday– Washington, D.C.– Senator William A Peffer, Populist from Kansas, age 64 and himself a veteran of the Union Army, introduces a bill to provide pension benefits to any soldier or sailor who deserted the Confederate forces and afterwards enlisted in the U S Army or Navy. January 30– Thursday– Washington, D.C.– President and Mrs Cleveland host an elegant dinner at the White House for the justices of the Supreme Court and their wives. The Great War is over. Large numbers of immigrants come from Italy and Canada. While the pattern of mostly men of working age continues we see a significant percentage increase of immigrants with job skills. 1.8% come from other regions and other countries. 9.5% are age 45 and over. > 2.2% have managerial occupations.